Log Parser is an old but still incredibly useful utility which I covered way back in this blog post. If you are fighting log files then I still recommend you give the post a read. Since that post, v2 of a GUI for Log Parser has been released . For those who are more accustomed to using SSMS or similar to write queries this may be more to your tastes. It can be downloaded from here. See this Microsoft blog post for a summary of what has been added to v2. There is already a decent tutorial from Lizard Labs on using the GUI but it is not very clear about where the options are so refer to the image below if you struggle to get started. A little aside for Windows 8/ Server 2012 and above accessing the event log files. Don’t try to open the event logs directory (%SystemRoot%\system32\winevt\logs by default) directly. You will probably be unable to open it because the folder as it does not have All Application Packages in the security permissions. There is no need to do this. Log Parser already knows how to access event logs, just use the event log name, Application, Security or System, as shown in the tutorial and example above. Visual Studio 2017 has reached the release candidate 2 stage and it is good to see the community version has been retained. I’ve covered the VS 2015 community version in this previous post. Everything from that post remains true in the later version expect who qualifies – open source projects, academic research, training and education remain but only a single professional developer now qualifies, a small team would now have to use the more costly Professional version. Edit: After I originally wrote this blog post at the end of December MS remove Python from the release candidate without warning. Finally in May it is back and Python appears as a development option next to Node. The installer for 2017 is different but once installed, the main product retains a similar look and feel. 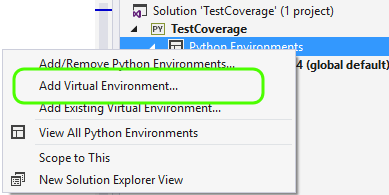 The basic installation does not include the Python tools, not unsurprising given the effort to make VS more modular. Additional support can be added if you go back into the installer; see my comment above and the blog post link for details about what has happened to the Python tools – no longer will a separate download required. Against upgrading once Microsoft has reinstated Python and it is not longer a release candidate; Python 3.6 is built with VS2015 (as is 3.5) so those compiling modules or embedding Python should stay on the previous version for now. Also if you are already using VS2015 then I’ve not seen anything so would make me want to switch. It is not an either-or choice as the different versions of Visual Studio will install side-by-side so there is nothing stopping you checking out the latest incarnation like I’ve done. I’ve mentioned Microsoft Virtual Academy before as a great resource for free online courses. As it is a Microsoft site the courses are either on Microsoft products or are presented with a Microsoft slant. There are even a few Python ones on there. Microsoft has now also launched Microsoft Learning, with Open edX based courses (the same technology used to provide the Mongo University). At present there are only Azure courses on there, we’ll see if Microsoft keep it that way or add additional courses for other technologies over time. If you want to quickly learn about Microsoft’s cloud platform the courses appear clear and concise from bits I’ve done so far. Update. Microsoft have annouced that they are consolidating the different learning resources and retiring Microsoft Virtual Academy in phases, beginning on January 31, 2019. Complete site retirement is scheduled for later in 2019. They are now pushing everyone towards Microsoft Learn. A similar annoucement about Microsoft Learning has not been made but my guess is that will also go the same way. A bit off topic but now that Windows 10 has been officially released I took advantage of the free upgrade. First impressions; better than 8.1 but not still doesn’t look as good as 7. Initially the start menu appears to be missing the useful menu on the right but these are accessible by right-clicking the start button. One of the main reasons I’ve been using Windows 8 Pro was to get the integrated Hyper-V feature. After the upgrade I had completely lost the network. Although looking the same as a missing network driver, the cause was that neither TCP-IP v4 and file & print sharing had been enabled. Enabling TCP-IP v4 on the vEthernet adapter solved the connectivity problem. My homegroup is not working so little more digging is needed. So how is Python. Well IDLE has vanished after the upgrade (a problem that also affects Windows 8 randomly). Other than it works as expected.